2012 Livin Lite CampLite CL8.5 - Camplite Truck Camper by Livin Lite w/Rear Entry Door, Wet Bath, Kitchen Base w/Overhead Storage & Sink, Refrig., Pantry, Closet, Sofa/Bed w/Overhead Storage, Front Queen Bed and More! Available Options May Include: Table. 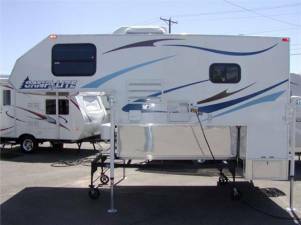 Camplite Truck Camper by Livin Lite w/Rear Entry Door, Wet Bath, Kitchen Base w/Overhead Storage & Sink, Refrig., Pantry, Closet, Sofa/Bed w/Overhead Storage, Front Queen Bed and More! Available Options May Include: Table. This ad has been viewed 2,716 times.